Underwater Grasses (Submerged Aquatic Vegetation, or SAV): For the first time since monitoring began over 30 years ago, underwater grass abundance exceeded 100,000 acres, reaching 104,843 acres to meet 57 percent of the outcome to achieve and sustain 185,000 acres of underwater grasses in the Bay – including 130,000 acres by 2025. Fish Passage: Over 100 percent of the outcome to restore historical fish migration routes by opening 1,000 additional stream miles to fish passage has been achieved. Protected Lands: Approximately 1,364,000 acres of land throughout the Chesapeake Bay watershed has been permanently protected from development since 2010, achieving 68 percent of the goal to protect an additional two million acres of land by 2025. Water Quality Standards Achieved: Preliminary data indicate that 42 percent of the Chesapeake Bay and its tidal tributaries met water quality standards between 2015 and 2017, the highest amount ever recorded since tracking began over 30 years ago. The Chesapeake Bay Program is a regional partnership of federal, state and local governments, academic institutions and non-governmental organizations that leads and directs the restoration and protection of the Chesapeake Bay. Guided by the Chesapeake Bay Watershed Agreement, Chesapeake Bay Program partners use ten interrelated goals and 31 outcomes to collectively advance the protection and restoration of the Chesapeake Bay ecosystem and its watershed. The majority of these outcomes have related indicators, goals and deadlines that allow the Chesapeake Bay Program to track progress toward environmental restoration, protection and stewardship. Data and information used to track this progress come from a range of trusted sources, including government agencies, academic institutions, nongovernmental organizations and direct demographic and behavior surveys. Determining the health of the Chesapeake Bay is as complex as the ecosystem itself. Across the watershed, rainfall, temperature and other conditions vary from month to month and year to year, which impact the surrounding environment. 2018 brought record rainfall to the entire watershed, leading to high river flows and extreme flooding events. 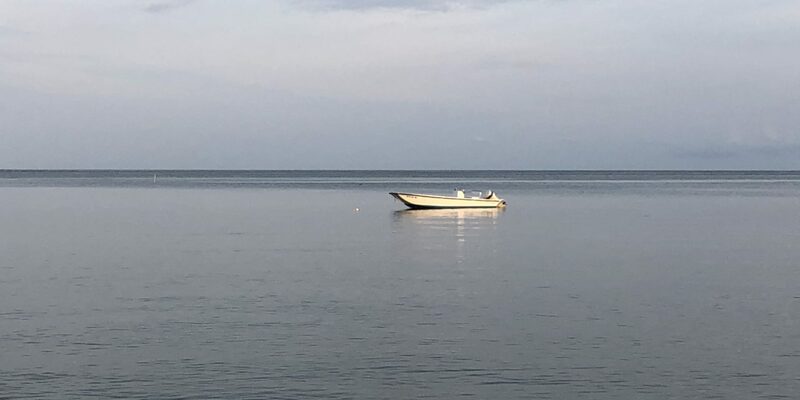 Some of the results from this weather were already evident by the end of the year – a higher amount of freshwater in the Bay, fewer jellyfish, finfish moving to new areas and a lingering “dead zone”. 2019 will show us the real impacts of these events when we see how underwater grasses, blue crabs and oysters have fared.